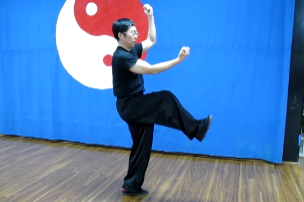 My Tai Chi teacher Sifu Sun Anguang allowed me to record him performing the Chen and Yang style long form routine. I want to continue practicing Tai Chi during our trip. The recordings should help me as a guidance. I feel very honored that I got the privilege of these recordings. For anybody in Los Angeles who wants to learn any style of Tai Chi I can only recommend Sifu Sun Anguang’s Tai Chi Academy in Alhambra. Say Hello from me when you go!